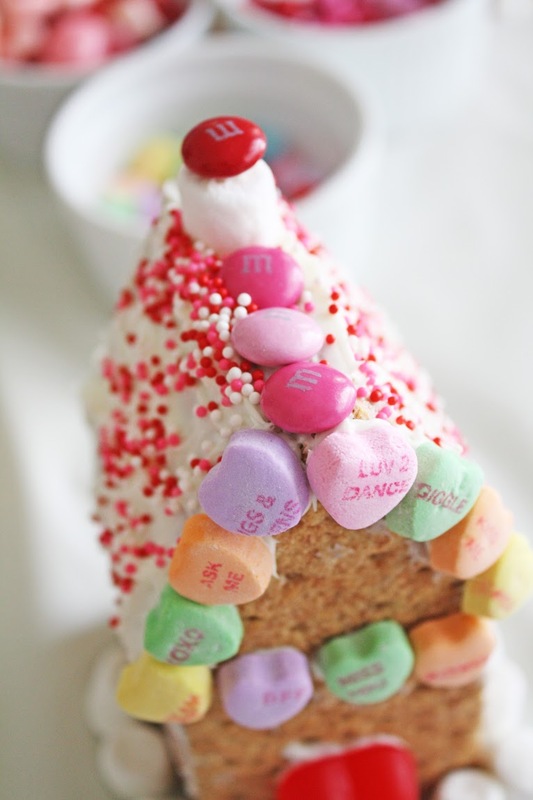 Follow the same design as you would with making a graham cracker house, just substitute holiday candy for Valentine's Day candy, and you’ll have yourself some love shacks! 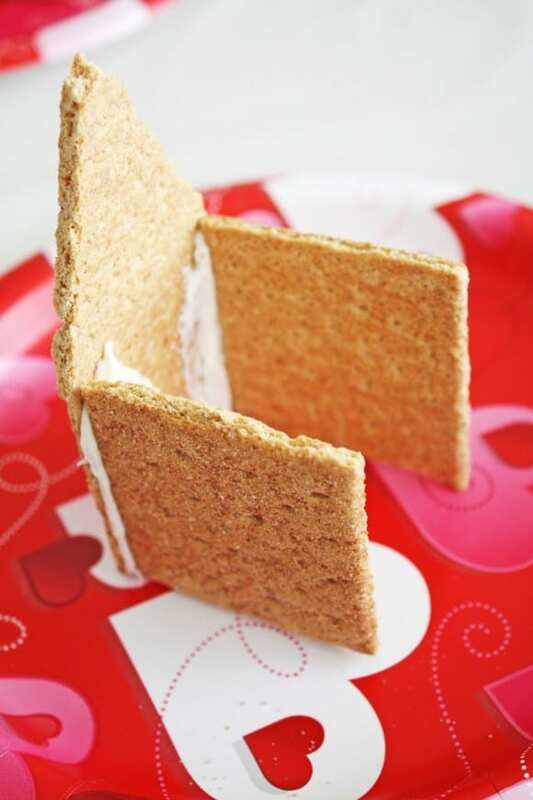 Step 1: Using a serrated knife, trim the sides of two long pieces of graham cracker. 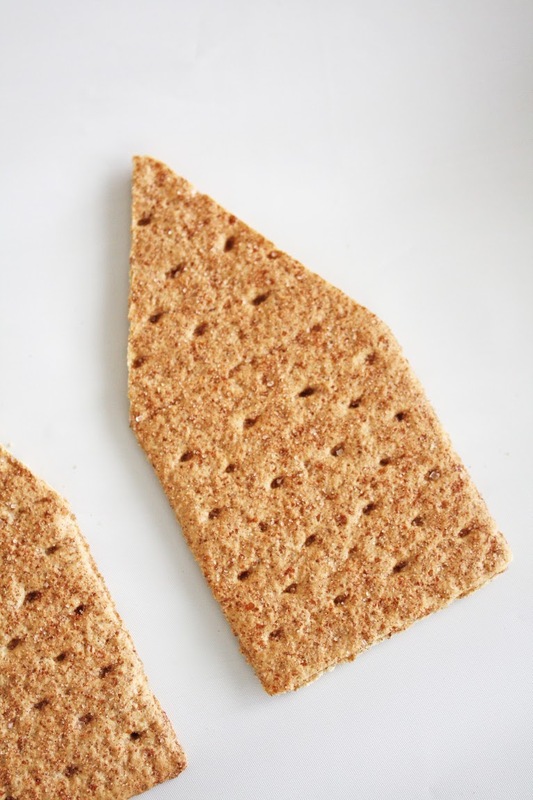 Break one long graham cracker in half. 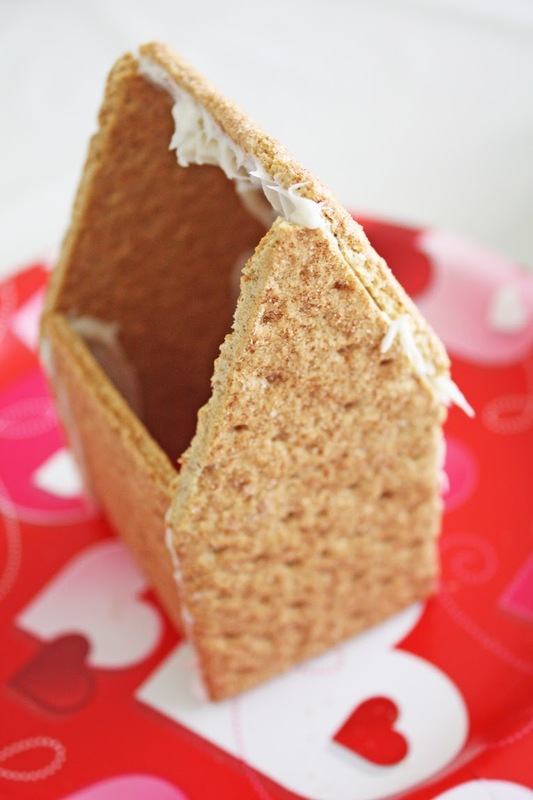 Step 2: Using the frosting as your “glue," start to put your love shack together. My kids used frosting for the roof of the shack and added colorful red and pink sprinkles. It’s raining love! 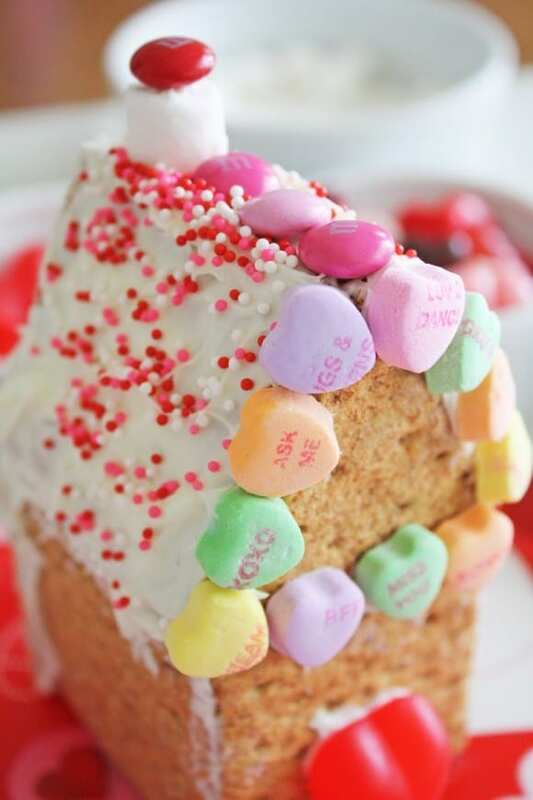 We used a mini marshmallow and added a M&M's on top of the marshmallow with frosting to make a cute chimney. 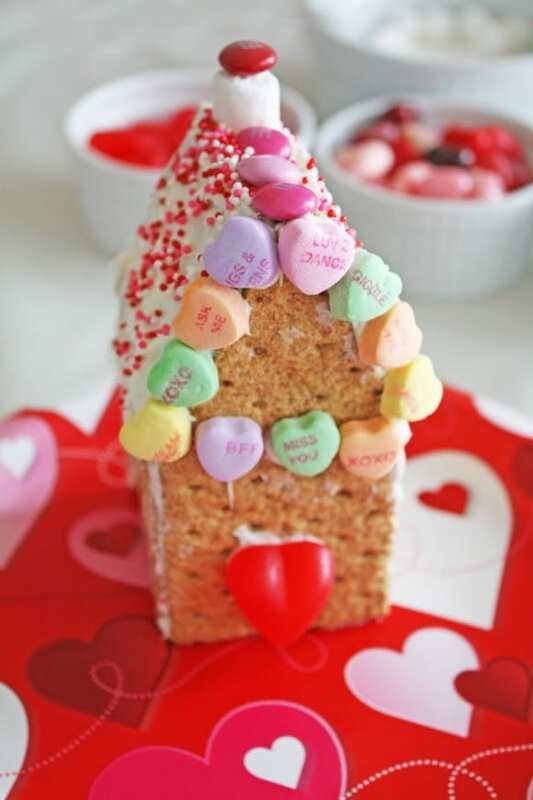 Then we added a large heart gummy for the door and some sweethearts to frame the roof. 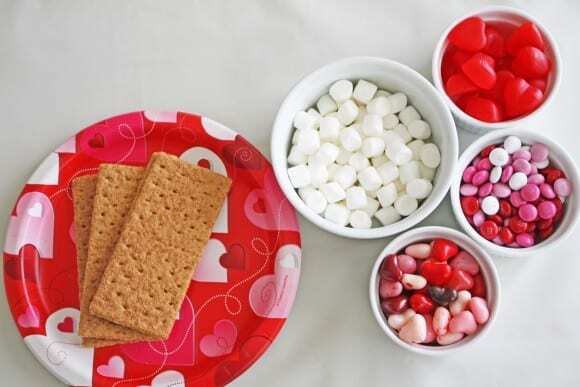 This would make an awesome Valentine party activity. 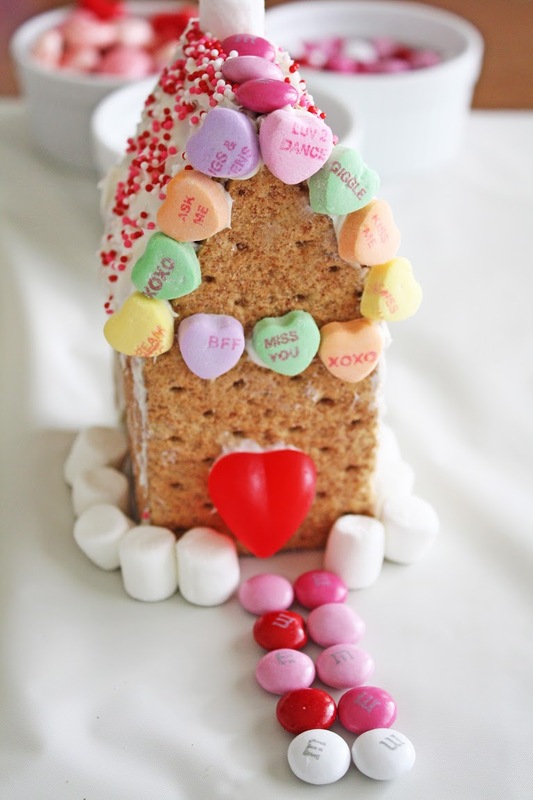 The kids had so much fun making these love shacks! Perfect food craft for kids of all ages. 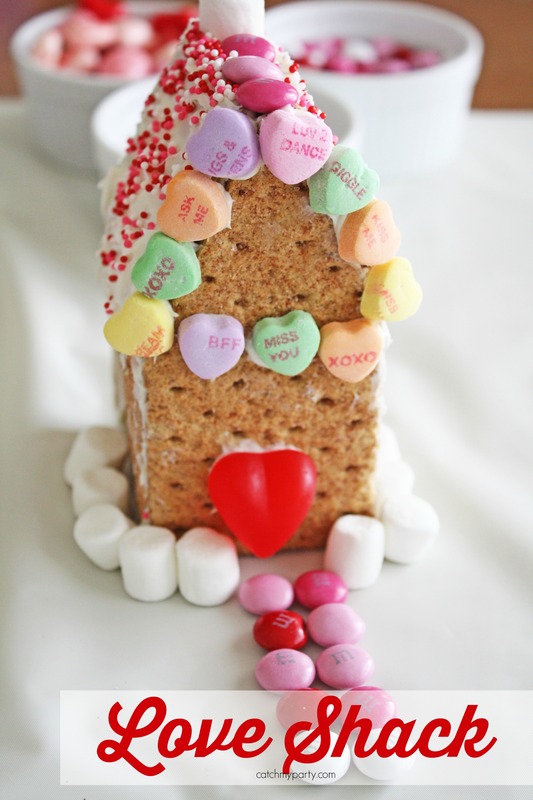 This fun DIY was created by our style and craft contributor, Shauna atElla and Annie Magazine! To see more of Shauna's work, check out Ella and Annie Magazine and visit them onFacebook,Twitter, Instagram, and Pinterest.